Iran’s House of Cartoon is currently hosting a deliberately provocative Holocaust Cartoon Contest, which organizers say is intended in part to test the boundaries of free expression in the opposite extreme from the Muhammad caricatures in Charlie Hebdo and events like the Pamela Geller-organized contest that was attacked by gunmen in Garland, Texas, last year. Despite the Holocaust Cartoon Contest organizers’ lip service to freedom of speech, though, several Iranian cartoonists now living in exile say that the same two men have a virtual stranglehold on cartooning within the country and that their connections in government have allowed them to act as “agents of suppression and prevention” amongst their fellow cartoonists. 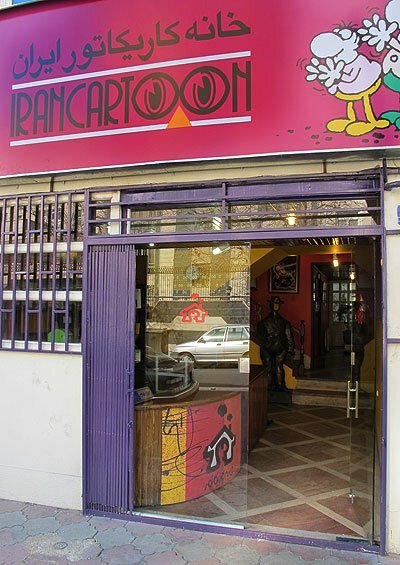 The House of Cartoon is a public agency of the Municipality of Tehran. Although it was founded by a broad spectrum of political cartoonists in 1996, it has since come under the full control of hardliners allied with its “President for Life” Massoud Shojai Tabatabai. Prime among those allies is Shojai’s close friend Hossein Niroomand, who currently sits on the board of Tehran’s Cultural and Artistic Organization and previously held a position in the notorious Ministry of Culture and Islamic Guidance. According to exiled cartoonists, including Mana Neyestani, Nikahang Kowsar, and Kianoush Ramezani, Shojai and Niroomand “control and supervise the activities of Iranian cartoonists inside the country, as well as their communications with the outside world” — not hesitating to threaten those who fail to fall in line. Ramezani, for instance, was upbraided by Shojai for reaching out to foreign cartoonists for help after an earthquake killed nearly 30,000 people in the city of Bam in 2003. Now living in France, Ramezani recalls Shojai threatening to “put an end to all your activities and send your case to the judiciary” if he stayed in contact with cartoonists abroad. One independent-minded cartoonist still working in Iran — in addition to Hadi Heidari and Atena Farghadani who were both recently released from prison — is Mana’s brother Touka Neyestani. He says the Holocaust Cartoon Contest is a “big mistake” which any reputable professional cartoonist would surely avoid. Sadly, though, he believes it epitomizes the rubber-stamp role that the House of Cartoon has taken on: a professional organization originally founded to “encourage and support Iranian and Foreign cartoonists and fans” has become no more than a mouthpiece for government hardliners and a tool for suppression of dissenting views.